Lot 32 Cape Tribulation Road, Kimberley is the 27th threatened rainforest property in the Daintree to be saved by Rainforest Rescue supporters. 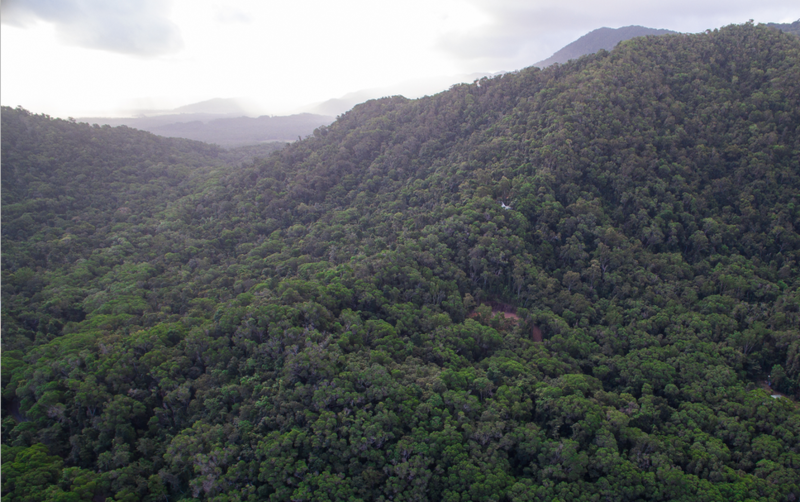 Lot 32 is important as it is the third Rainforest Rescue property recently purchased with the intent to build in a new wildlife corridor connecting Daintree National Park and Nature Reserves in the Cape Kimberley region. The purchase of Lot 32 closely follows the final settlement on Lot 38 - now named The Chris Bennett Reserve - situted across the Cape Tribulation Road. Both rainforest blocks were in the Top 5 priority properties identified by Rainforest Rescue and are important links connecting together the wildlife corridor. This is a great win for the Daintree as protected habitat coridoors are vital for improving the resilience of the rainforest and the many important local and endangered species that live there. The combined threats of development and climate change need to be countered by the creation of protected areas to ensure that internationally important and unique rainforest such as the lowland Daintree survive for future generations.